It is easy to learn (thus wide spread adoption), client side (thus very fast, no server side processing) and defacto language of web browsers (thus dubbed as the language of the web). You need the knowledge of statistics in order to interpret the data accurately. So if you are good in data interpretation but weak in data collection, you will always have to rely on a third party for your data collection needs. Unless your data requirements are met, you are stuck. You can’t move forward with your analysis because you don’t have the data to analyze. You can’t assess the quality of data because you don’t understand how the data was collected. You need to work with whatever data you have got. Pretty helpless state. Conversely, if you are strong in data collection but weak in data interpretation you won’t be able to improve the business bottomline. You have all the data you need but you don’t know how to use and interpret it correctly. 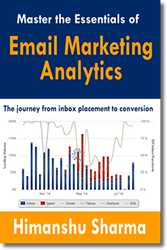 You need both legs in order to stand and run in the field of Web Analytics. With just one leg you have got only two options: either hop or use a developer as a crutch all your working life. Both of these situations are undesirable and avoidable. That’s why I cover both data interpretation and data collection issues on this blog. I strive to be good in both of these areas and expect you to do the same. and just about any tracking in Google Analytics. HTML (or Hyper Text Markup Language) is used to develop text content of a web document. CSS (or Cascading Stylesheet) is used to control the layout and formatting of the text developed through HTML. 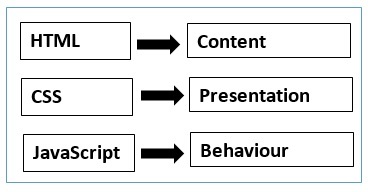 These three scripting languages together create the modern web page which we see today. Often web pages contain all of these three different types of codes together and this is where the problem starts. When you mix all of these three different types of codes together it becomes difficult to understand, diagnose, reuse and maintain a piece of code. Note: Every <script> tag must have the closing </script> tag and you can place script tags anywhere in the head or body section of a HTML document. 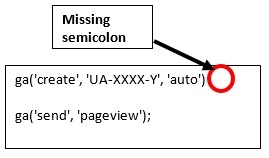 This missing semicolon error may look trivial but it can easily create a hard to diagnose tracking issue. This is because it is not very easy to spot a tiny missing semicolon in a big piece of code. 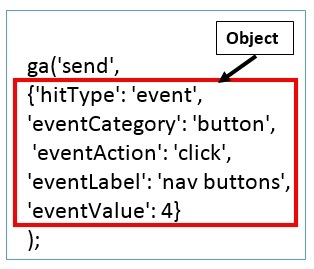 The second last statement ga(‘send’, ‘pageview’); is the instruction to send pageview data to Google Analytics server. The last statement ga(‘create’, ‘UA-XXXX-Y’, ‘auto’); is the instruction to create a tracking object and associate it with my web property. It is a good practice to put spaces around operators ( = + – * / ). In general, use of extra white spaces do not create any issue in your code. 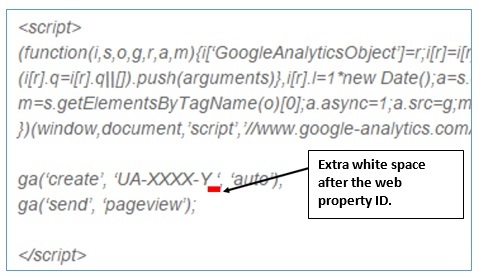 The web property ID used in your Google Analytics Tracking code is a string value (‘UA -XXXX-Y’). 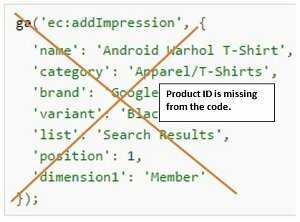 When the web property ID contains extra spaces either before or after the ID then Google Analytics will not be able to recognize your web property ID and hence not be able to associate the tracking object with your web property. As a result your Google Analytics tracking code will not be able to send any pageview and user data to GA server. This is another error which may look trivial but can easily create a hard to diagnose tracking issue. Single-line comment begins with two forward slashes ( // ) and runs to the end of the line. Here ‘creates a tracker’ and ‘sends a pageview’ are the single line comments added to the Google Analytics tracking code. A multi-line comment starts with /* and end with */ . Comments are commonly used to stop a statement from being executed during testing. Note: It’s a good programming practice to declare all variables at the beginning of a script/code. Use the assignment operator ‘=’ to assign a value to a variable. To use the value of a variable, just use the variable name without surrounding it with quotes (single or double quotes). Here ‘videoName’ is a string value and not the variable we declared earlier. So this event tracking code will pass ‘videoName’ as event label instead of passing ‘superman vs Batman’ as event label. #1 Variable names are case sensitive. #2 Variable names can be alphanumeric. #3 No spaces are allowed in a variable name. #4 No special characters (other than $ and underscore) are allowed in a variable name. #5 A variable name cannot begin with a number. 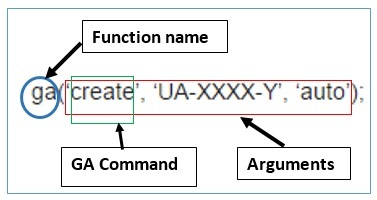 #6 A keyword cannot be used as a variable name. #5 A variable name can not begin with a number. #6 A keyword can not be used as a variable name (more about keywords later). #1 Use lower-case for variable names wherever possible. #2 Use either underscore to separate each word in variable name or use camel casing. Note: In a camel case we capitalize the first letter of each word except the first word. A keyword (or identifier) is a reserved word which carry special meaning. var function; // not valid as ‘function’ is a keyword. A string is a series of characters of any length. Note: Any character available on a keyboard can be used in a string including white spaces. You can use quotes inside a string, as long as they don’t match the quotes surrounding the string. If you want to use quotes inside a string which match the quotes surrounding the string then you need to use back slash \ (also known as escaping character). An array is a special variable which can store multiple elements of same or different data types at a time. These elements can be strings, numeric values, undefined values, boolean value, other arrays or objects. Object is also a special variable which has got properties and methods. Here property can be any string or identifier. 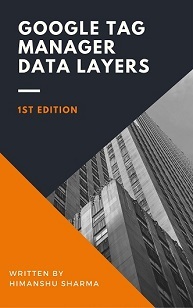 I have explained both Arrays and Objects in great detail in this article: Google Tag Manager Data Layer explained like never before. So check it out. Here, Parameters are the names we list when defining a function. Arguments are the values we pass when calling a function. Note: Using parameters and arguments is optional. Note: Rules for creating function names is same as the rules for creating variable names. 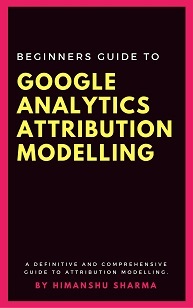 Google Analytics uses it own in-built function known as the ‘ga’. 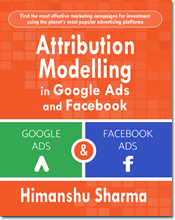 This function does almost every task in Google Analytics, whether it is creating a tracking object, sending pageview data, sending event data, ecommerce data etc. Since functions names follow the same rules for naming variables, they are also case sensitive. 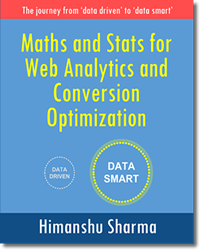 Similarly, each function in Google Analytics has fixed number of required parameters, the parameters which you have to enter for a given method. If you skip one of the required parameters then this can make the tracked data unreliable or your tracking may stop working. For example ‘Transaction ID’ is a required parameter when measuring product impressions in enhanced ecommerce tracking. 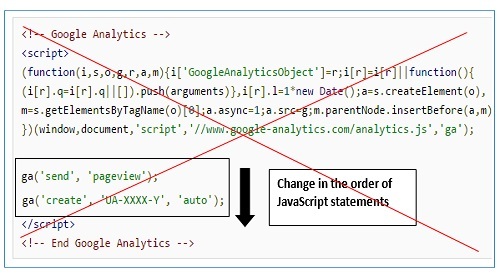 #1 Use correct syntax for all the functions in Google Analytics. 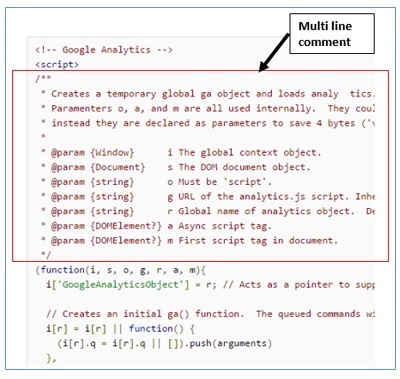 For example the names of all the functions (methods) in classic Google Analytics (ga.js) should begin with underscore _ . Otherwise the functions will not execute and tracking will not work as intended. For example use _trackPageView instead of trackPageView. 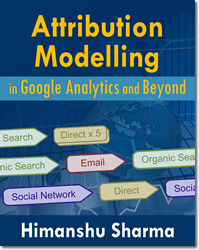 In case of universal analytics, use ga instead of GA.
Google Analytics depreciate certain methods from time to time. 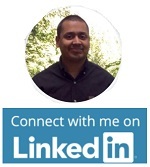 Methods once depreciated should no longer be used as they can negatively affect data quality. 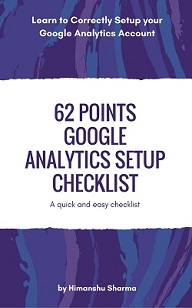 Review your Google Analytics Tracking codes periodically and make sure that you use only active methods. #3 Never add quotes (either single or double quotes) to a function argument which should not be quoted like numbers, boolean values, functions, arrays, objects, variable names etc. Use quotes only when you want a value to be interpreted as string. Otherwise Google Analytics may incorrectly record data or fail to record data. 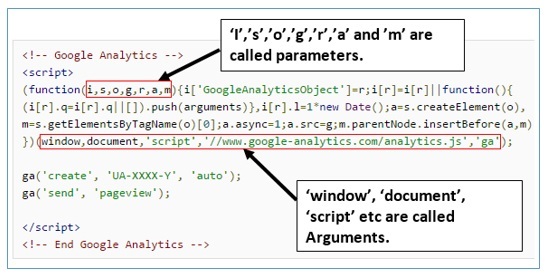 Whenever you are customizing your Google Analytics tracking code or implementing a certain type of GA tracking, always refer to the official GA developers documentation to make sure that you are using the correct syntax for your code. #1 Make sure every web page on your website contains Google Analytics tracking code (GATC). Otherwise you will get self referral issues. #2 Avoid customizing the GATC if you don’t know what you are doing. You are most likely to break the code and the code once broken will stop working. Even a missing semicolon can break the code. #3 Never copy paste the GATC from a word document as it can change the quotation marks in your tracking code which may stop the code from working. #4 If the GATC on a page is not the asynchronous version of the tracking code snippet then the reported data could be unreliable. So you need to upgrade to the asynchronous version of the tracking code. #5 There are many versions of GATC: urchin.js (oldest version), ga.js, dc.js and analytics.js (latest version). Installing multiple versions of the google analytics tracking code on a page can inflate pageview and users data and make them unreliable. So always use only one version of google analytics tracking code on a page at a time. #6 Keep the GATC inside the head section of a web page. This increases the likelihood that tracking beacon is sent before a user leaves the page. #7 Make sure that you are using the correct GATC. Webmasters who manage mutiple websites, sometimes add the GATC of another website. 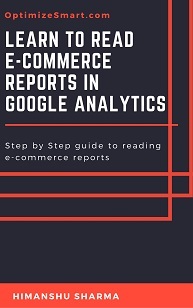 #8 Even if you place Google Analytics tracking code in an external script file, Google Analytics will continue to collect analytics data. #9 Each time GATC is executed, it sends an HTTP response to the GA server. But when GATC is not executed, no HTTP response is sent. So if you see an error message ‘No HTTP response detected’ then it means either your browser is using some extension which doesn’t let the GATC from being executed or there is some syntax error in GATC.